© by Gerald So | 4:30 a.m. 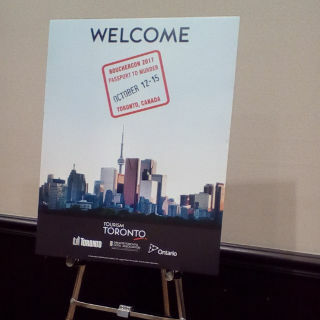 Thanks to the kindness of Canadian cousins, I was able to attend my fourth Bouchercon World Mystery Convention, riding from Long Island to Toronto last Tuesday. Due to timing on particular days, I was not able to attend all the panels I wanted, but attended others I thought I'd miss. 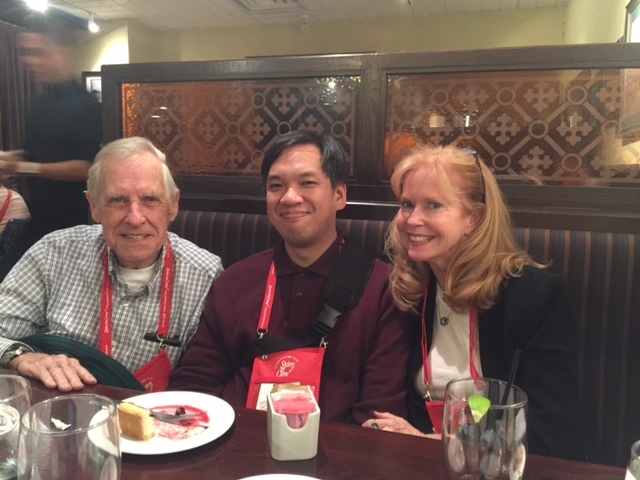 More important to me was catching up with old friends and making new ones, which at Bouchercon is as spontaneous as exploring the hotel. I still value being in the moment more than live-tweeting or taking photos, but I did use the free wi-fi to document more of the con than I have in the past. See my tweets tagged #Bcon17 and #Bcon2017. The highlight for me was meeting Kevin Burton Smith. I worked eight years for Kevin as fiction editor of his Thrilling Detective Web Site. Looking back, I suppose it was one of the first electronic publications, and I hope you find the stories hold up, or you have fond memories of them. Kevin and I emailed and played Twitter tag to plan on seeing each other, but finally shared a late breakfast Saturday because we ran into each other in the hall. We got along as well as I hoped. 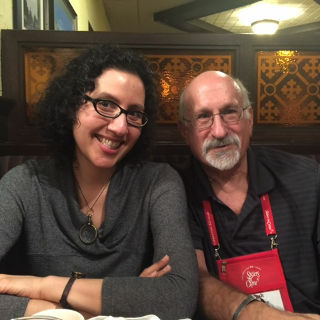 A final fun surprise of the con came when John McFetridge, whom I befriended on the last day of Bouchercon 2008, said I was mentioned in this year's Bouchercon short story anthology, Passport to Murder, which he edited. Having received a rejection for the story I submitted, I had to inquire further, and John explained that working on the anthology reminded him of a story he wrote for a flash fiction blog challenge I helped put together with Patricia Abbott and Aldo Calcagno years earler. That's something, and I'm flattered, but there's no better feeling than using my words to achieve just the effects I aim for, that also resonate with editors and the general public. That's why I keep writing. The best thing about Bouchercon is being among people who not only know and appreciate each other's writing but also their efforts off the page. Great wrap-up, Gerald! And great seeing you in Toronto, of course!